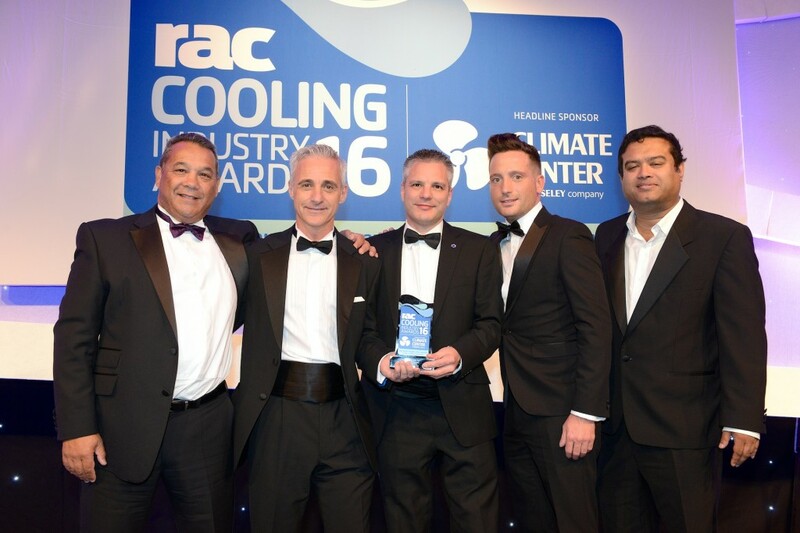 Gloucester 30 March 2017: ISD Solutions, the UK’s leading specialist subcontractor in the design and construction of composite panel cold store warehouses, is delighted to be sponsoring the RAC Cooling Industry Awards for the second year, specifically for the increasingly important Environmental Collaboration category. Now in its 13th year, the annual event represents the industry’s biggest and most-respected Awards, championing the leading innovations and environmental successes in the refrigeration and air conditioning industry across the UK. With a total of 14 targeted categories covering every aspect of the refrigeration and cooling industry the 2017 winners will be announced at the London Hilton, Park Lane on 27th September. Selecting the Environmental Collaboration category is a perfect fit for ISD Solutions which is involved in the construction of the largest super-efficient cold store warehouses and other temperature controlled food storage and production facilities in the UK and globally. Recent projects have been driven by a collaborative approach to sustainability and environmental performance that involves the close interaction of designers, cooling specialists and main contractors with ISD Solutions’ own design, manufacturing and installation teams, to deliver robust energy efficient building solutions. Over recent years the Environmental Collaboration category has become increasingly essential, as meeting tough environmental goals requires companies to share expertise and work together across disciplines. The use of BIM level 2 design processes, which in its sector ISD Solutions has pioneered, is also contributing. This category will reward partnerships across the supply chain where collaboration has resulted in real innovation or outstanding projects. Recently awarded ISO14001:2015 for effective environmental management, ISD Solutions is the UK’s leading contractor in composite panel construction and cladding projects from cold stores, food processing facilities & distribution centres to clean rooms & data centres. A pioneer in thermally efficient, single envelope construction, ISD also offers a full range of modular cold store solutions for the grocery, hospitality and pharmaceutical sectors. A diverse customer base of blue chip organisations includes Ocado, Aldi, Morrisons, Farm Foods, NewCold, Waitrose and Sainsbury’s.